Spend a little time with us… alone or with friends, for a special occasion or a little bit of pampering. Treat yourself or someone special. Be pampered from top to toe… Starting with a Decléor aroma back, neck and shoulder massage following with a Decléor Vitamin Glow facial and finishing with a Jessica prescriptive manicure and mini Mii make-up. £160.00 – 3 hours. A Decléor Aroma Expert facial personalised to your needs complemented with a relaxing full body aroma massage that includes the scalp. Choose either a Jessica GELeration manicure or deluxe ZenSpa pedicure treatment. To complete your day we will perform finishing touches of Mii make-up. £190.00 – 4 hours. 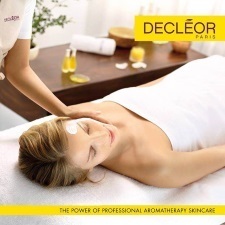 For Him – Decléor Intensive Energy face treatment, Decléor Aroma Body Massage and Executive Manicure. For Her – Decléor Vitamin Glow Facial, ZenSpa Pedicure and Jessica Prescriptive Manicure. We offer complementary refreshments and special touches to ensure that your treatment is extraordinary. Your treatments can be carried out in the same room to share this unique experience. £280.00 – 3 hours. Please note all packages require a 50% non-refundable deposit at the time of booking and full payment 48 hours before the treatment. Join our mailing list to receive the latest news and updates from Lift Beauty Clinic.